We are still not through all that the Yoga barn has to offer. Today we tried out Power yoga with Bex. Vinyasa style is a flow based system where the movements are synchronized with the breath, so there is lots of movement, and a lot of stretching and twisting of the body. It was hard. We had planned to sessions today. One at 10, the power yoga, and another one at 16. It took a lot of effort to get up and out this evening to get to the 16 session. 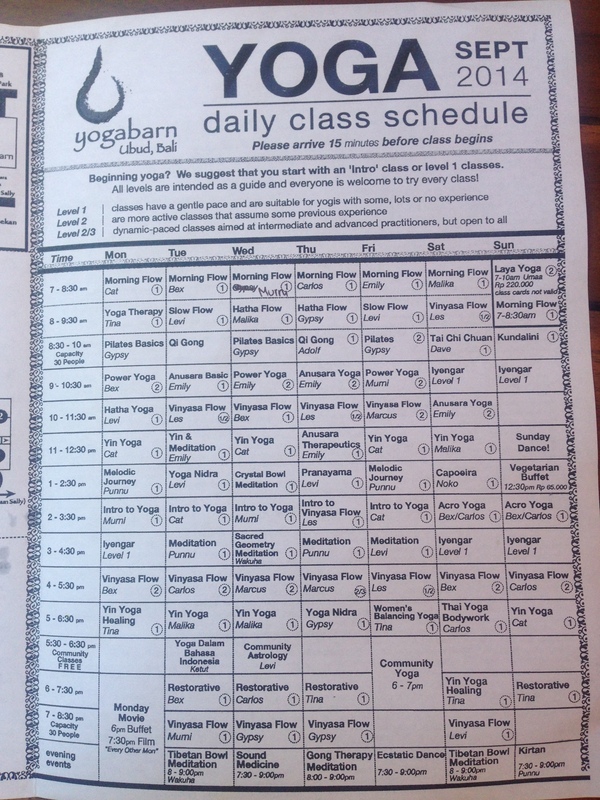 To give you an overview of the classes available here at Yoga barn, check out this picture of the September Schedule. We spent the midday on a walk up to center of town and had a nice coffee and a danish roll. From there we found the famous Babi guling place in town (the suckling pig). Unfortunately it closes at 18:00 and we would not get there in time for dinner. But we now know where it is and have a plan for Wednesday. 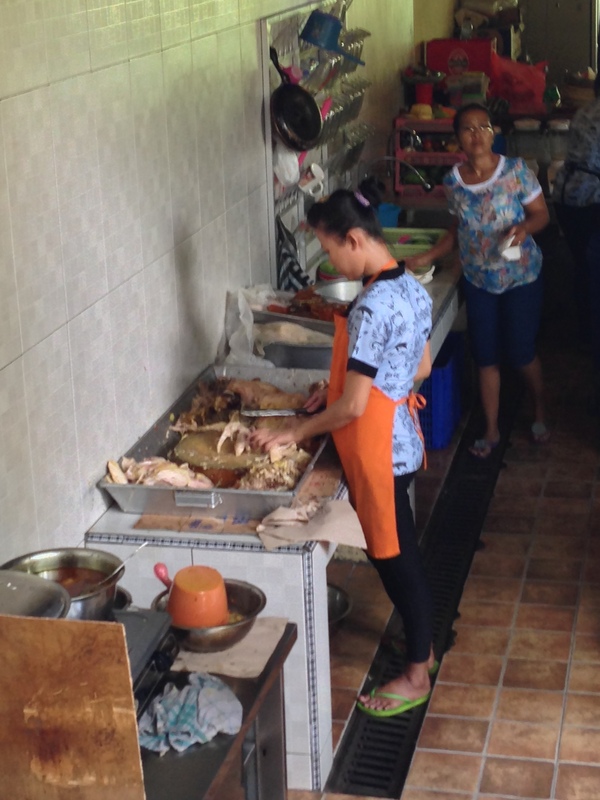 The picture below is taken of the ladies cutting the pig, or more likely ripping it apart. over the city. They build a room or two, rent them out and expand when there are means to do so. A fairly sound and safe business plan. 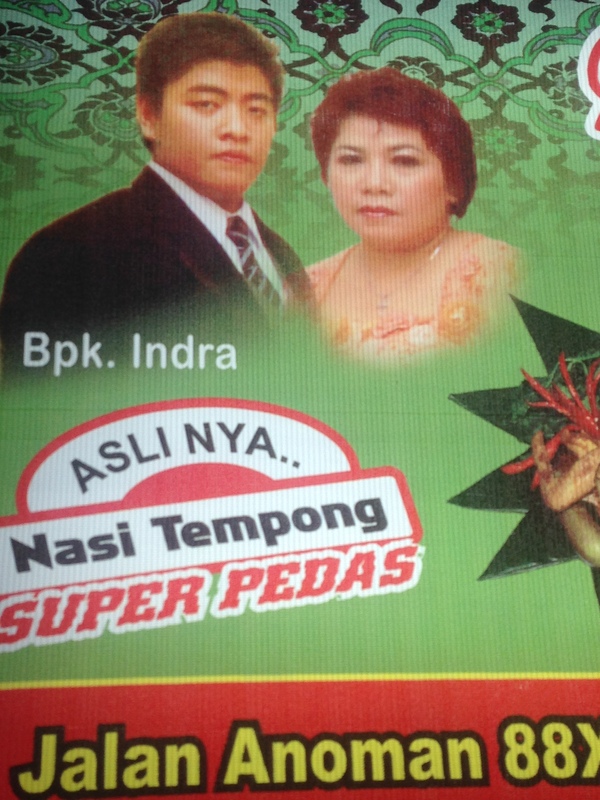 But how much housing can Ubud take before it is to much? There is a constant stream of tourists here, but I guess it’s not gonna increase for ever. And at one point there will be so many rooms available that a lot of them will be empty. What then about the investment that has been made? Hopefully someone will see the top of the peak and stop the building at the right point. For that seems to be the thing with housing projects all over the world, right? And while we are on the subject of new things. 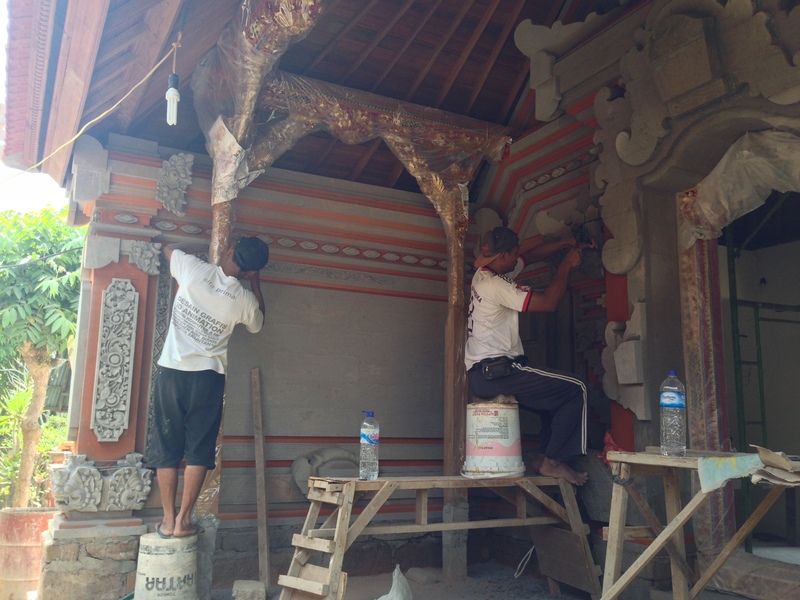 There has been restoration on a restaurant where we take of the main road to get into yoga. They have just reopened and I just had to take a picture of the sign. I don’t really know what the try to make me think by profiling themselves like this, but it probably doesn’t work quite right on me. 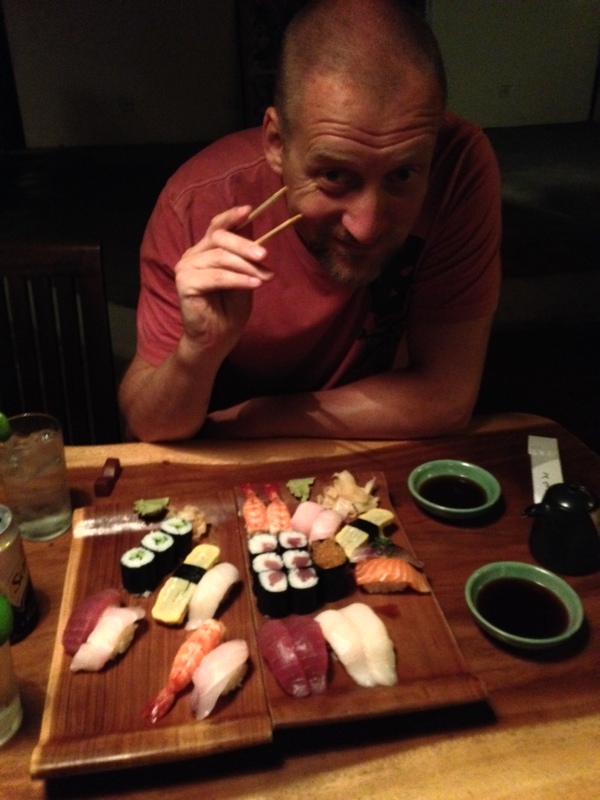 Right now I’m waiting for my sushi. We took a Japanese twist this afternoon in salutation to our friends leaving to Japan for attending the 80th anniversary of the Wado Ryu Karate do Renmei. Have a safe and wonderful trip, and make sure to be ready for the world championship in 2016. I’m looking forward to trying out the yoga barn! Da er jeg endelig “up to speed” med bloggen. 😀 Ser ut som dere koser dere og takk til Katja for Bali kaffe og fint postkort som ankom kontoret i dag. God tur videre, vi følger spent med. Så bra! Kos dere med Bali Kopi. Ha fortsatt glade dager på kontoret. På mandag 6. oktober drar vi videre til Perth. Så da kan dere få med dere det som skjer “Down under”.